Leading figures from Ofsted, the Department for Education and trades union movement were questioned by MPs about the quality of school inspection in England. The parliamentary public accounts committee, which oversees government spending, called a hearing to discuss the findings of a recent National Audit Office report into Ofsted’s activities. Witnesses included Amanda Spielman, the chief inspector of schools, and Jonathan Slater, the permanent secretary of the Department for Education. Many of the questions posed by MPs today focused on Ofsted’s use of data, and whether information gathered by the watchdog is being used effectively. Witnesses, including union leader Mary Bousted, spoke of the positive impact of the inspectorate’s survey reports. 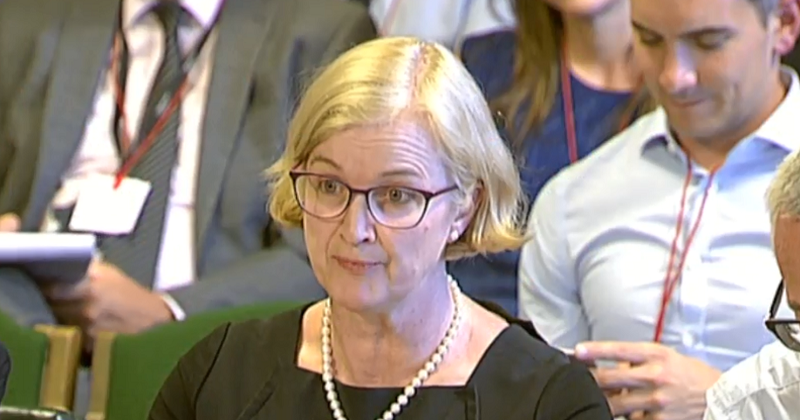 During the hearing, Spielman revealed that Ofsted will tomorrow publish a report on off-rolling. She didn’t give more details, but it follows reports that inspectors have been asked to focus on off-rolling as concerns over the practice grow. Since February, inspectors have been specifically looking at exclusions malpractice in the north-east of England. A report on childhood obesity is also due out soon, Spielman said. Asked by Layla Moran, the Liberal Democrat education spokesperson, about a perceived unfairness in reports on schools in working class communities, Spielman said she recognised the perception. For example, schools in deprived communities face greater challenges relating to teacher recruitment and retention, and “don’t have the culture of aspiration from parents”. “So there are many reasons why it might be harder for those schools to be effective. The difference depends on what you think inspection is measuring,” she continued. Ofsted’s responsibility is to measure standards of education, which is “rather different” to measuring the efforts of schools’ leadership teams. She added that the leadership and management category on Ofsted reports is the “better indicator” of concerns about school teams. The NAO report published earlier this year revealed that 43 schools were not reinspected within the statutory deadline of five years. However, Ofsted’s annual report and accounts for 2016-17 had assured Parliament that the statutory target was met. Spielman pointed to a “control weakness for which I apologise”, and said the record would be corrected in the next report, due in the coming weeks. “There were a handful of inspections which were not completed within the statutory timelines, where an explicit decision was taken that there was a good reason to defer the inspection, but it wasn’t communicated up properly…so I was unaware of it at the time I signed off the annual report,” she said. Meg Hillier, the committee chair, asked what had been done about the “serious matter” of “misleading Parliament”. Spielman replied procedures had been put in place to ensure decisions to defer inspections beyond statutory deadlines are run past senior officials, but confirmed that no-one faced disciplinary action. Efforts by the Department for Education to curb excessive executive pay at academy trusts appears to be having an effect. According to Jonathan Slater, 18 of the 117 multi-academy trusts warned about salaries of over £150,000 in their organisations earlier this year have since ceased to pay that much. Asked if this simply meant that people in the organisations are now being paid less, he said: “yes”. Ofsted has made clear that it wants the current exemption from inspection that is given to ‘outstanding’-rated schools to be lifted. The NAO revealed earlier this year that almost 300 schools have gone for more than 10 years without an inspection as a result of the rule. During today’s hearing, MPs heard from Matthew Shanks, the executive principal of Education South West, which has two ‘outstanding’ schools. He said the heads of those schools “want them to be inspected” because “you want to test yourselves”. Is it just me, but when told that 18 MATs have ceased to pay salaries of over £150,000 why would you need to ask (and indeed report on) whether this means that people are being paid less? What possible other outcome could there be?